As material innovation with a focus on comfort becomes more prominent with global apparel brands, product developers continue to evaluate new technologies and methods to create a comfortable product for cool-touch/warm-feel quantification. 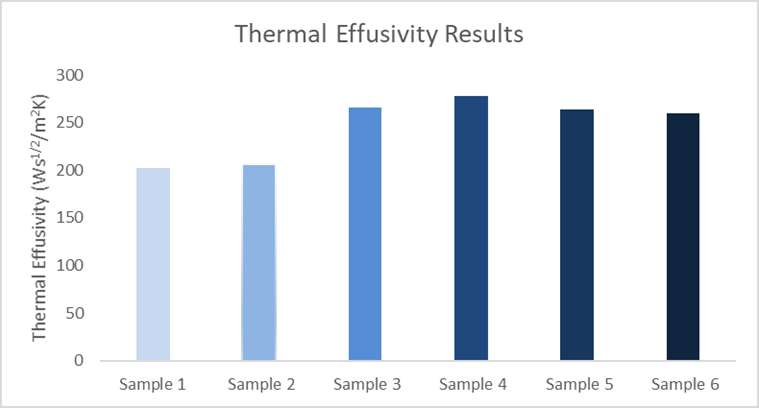 Effusivity testing is widely adopted via ASTM D7984. Different approaches include variations of fiber structure and finishing treatments to achieve a cooler feel. 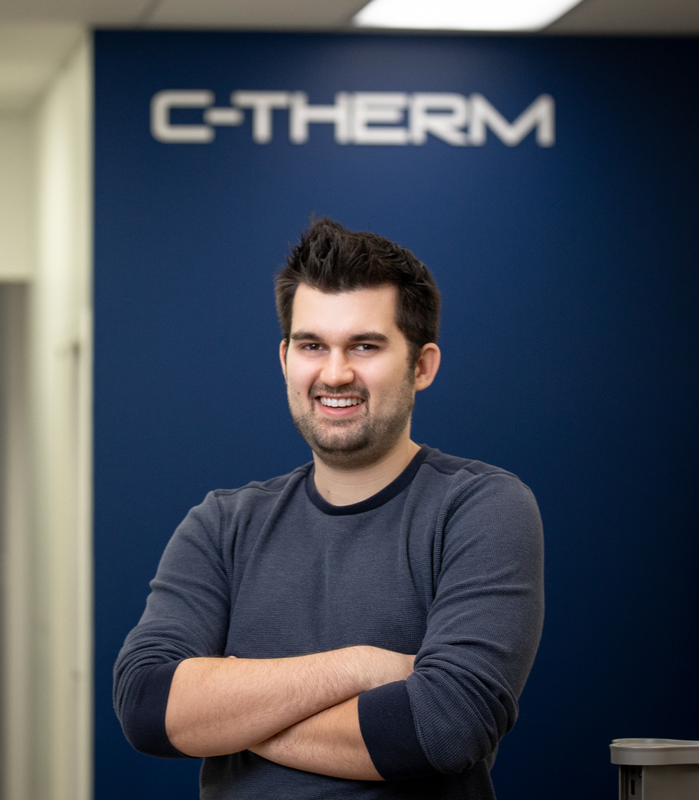 C-Therm, in partnership with Thermal Analysis Labs, tested 6 denim samples from a major denim brand where different fiber blends and 'cooling technologies' were applied. Samples were evaluated in accordance with ASTM D7984 to quantify the 'coolest feeling material'. Results from C-Therm's Tx Touch Experience Platform are summarized in the table below. Sample 4 measured the highest with 278 units with sample 1 at 203 units. While all samples are relatively “cool” to the touch (all over 200 units), the 75 unit difference exceeds the threshold of noticeable differences (~20 units). 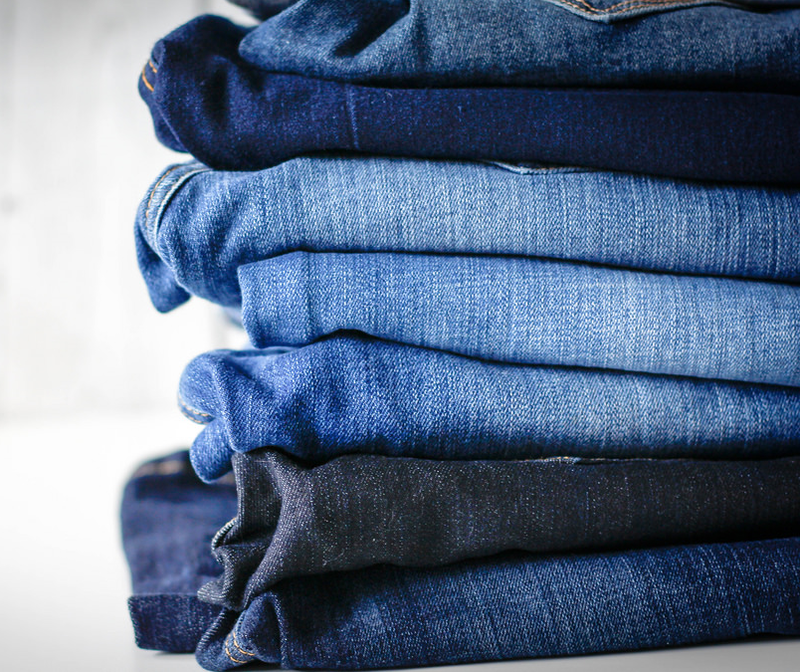 Comment on "Characterizing the “Cool Touch” of Jeans via ASTM D7984"